This is a weekly meme where we talk about the books we got last week, either books we bought, borrowed at the library, got for review etc. The meme is hosted by the great Story Siren. The book is the first in a planned trilogy, and I am so excited to read it. I was so happy when I was asked to review it. I literally jump up and down.
" I thought it was over.That my time with the fey, the impossible choices I had to make, the sacrifices of those I loved, was behind me. But a storm is approaching, an army of Iron fey that will drag me back, kicking and screaming. Drag me away from the banished prince who's sworn to stay by my side. Drag me into the core of a conflict so powerful, I'm not sure anyone can survive it. This time, there will be no turning back." I have not read the previoius books, but they sound really good so I went ahead and bought them. "Maddie lives in a world where everything is done on the computer. Whether it’s to go to school or on a date, people don’t venture out of their home. There’s really no need. For the most part, Maddie’s okay with the solitary, digital life—until she meets Justin. Justin likes being with people. He enjoys the physical closeness of face-to-face interactions. People aren’t meant to be alone, he tells her. Suddenly, Maddie feels something awakening inside her—a feeling that maybe there is a different, better way to live. But with society and her parents telling her otherwise, Maddie is going to have to learn to stand up for herself if she wants to change the path her life is taking. In this not-so-brave new world, two young people struggle to carve out their own space." The cover attracted me to this books, and it sound like a great read too. 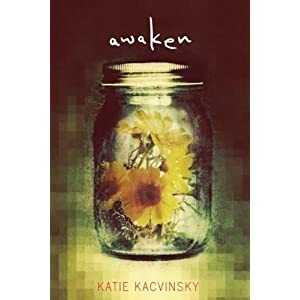 Awaken sounds like an awesome book! I haven't heard of Black Swan Rising as well...gonna go check it out on goodreads, lol. Great IMM! Black Swan Rising sounds great! Lucky you for Iron Queen and Vespertine! fabulous loot in your mailbox. Envious with green streaks on my cheeks for your Iron Queen and Awaken. Wonderful books! Hope you have a great week reading :) Drop by my blog if you get a chance! @Sarah: I hadn't heard of it either, but when I read the press release I was instantly interested. And I love beautiful covers. @Ladybug: I read the first chapter of it, it was posted on the web, and I was hooked. So I just knew I had to read it. @Aisle B: I think any blogger who posts regularly can be allowed access to Netgalley and the great books that are avalable there. 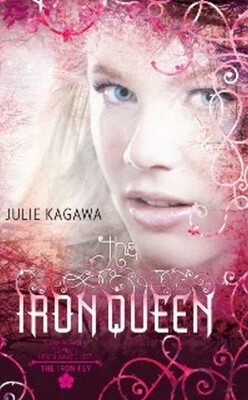 @nikkibrandyberry: I know, the cover is soo pretty. 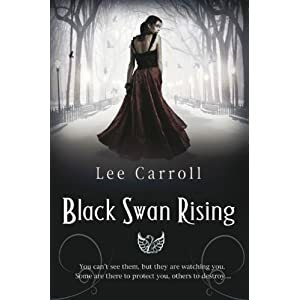 Wow I just love the cover for Black Swan Rising, would make a pretty poster! Great IMM!! Am a new follower I look forward to your reviews. Black Swan Rising is gorgeous looking! Hope you enjoy it. Have a fun week reading!